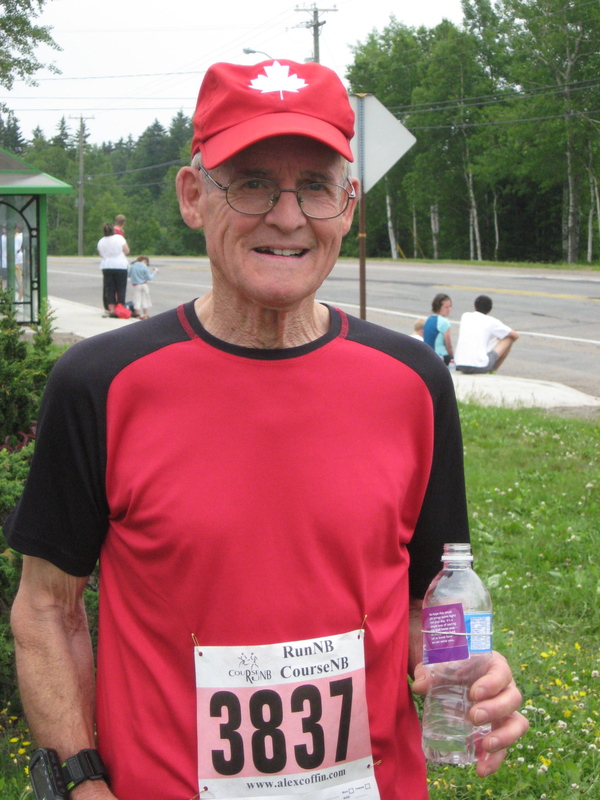 Frank Kelly is an avid runner who took up the sport at age 67. He ran his first race in work socks and hiking boots. Now at 69 he runs in events every weekend. Our feature interview with Frank Kelly is an inspiring story and it’s not over yet. He’s heading to the Boston Marathon. On Trail Magic our Appalachian Trail thru-hiker Lorne Blagdon is still in the Smoky Mountains and he says they get their name for good reason. In this episode Lorne experiences MUD’s (mindless up and downs) more rain and beautiful waterfalls cascading down the mountain. He meets a four foot long black snake crossing the trail and finds more snakes in the shelter which is good because they eat the mice. Our intrepid hikers achieve their first 20 mile day on the trail and we end this segment of Trail Magic as they approach Hot Springs, North Carolina. Also comments from you about using mp3 players in the outdoors, Andrew Spender in the UK writes to suggest I get in touch with a friend of his, Pete Wilson who is traveling around Australia with his family and we have a comment about outdoorzy.com. Plus podsafe music from Big Rain. Thanks for the post-very inspiring. Picking up something new this late in life is never easy, as we usually find it hard to change course from what we’ve been doing in the past. By the way, I plan on hiking the appalachian trail next year, I guess I’ll have to watch out for snakes. Frank is the MAN!! I did the long division on that 10 miler and he’s cranking out 8:20ish miles. That’s competitive at any age. I’m not sure I could string ten of them together at 38.